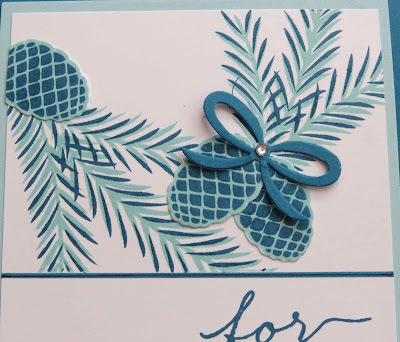 Karina's Kreations: Stampin'Up Christmas Pines! 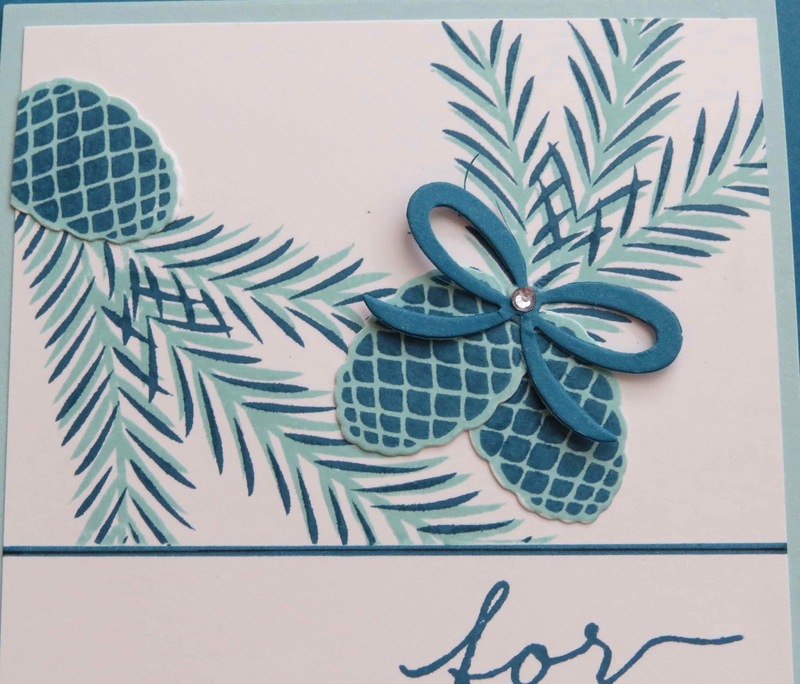 This beautiful card was made with the Christmas Pines stamp set #142049 and matching Pretty Pines Thinlit Dies. I wanted to show how versatile this stamp was. It can be used for a variety of Occasions. My card stock colors are Island Indigo and Pool Party!